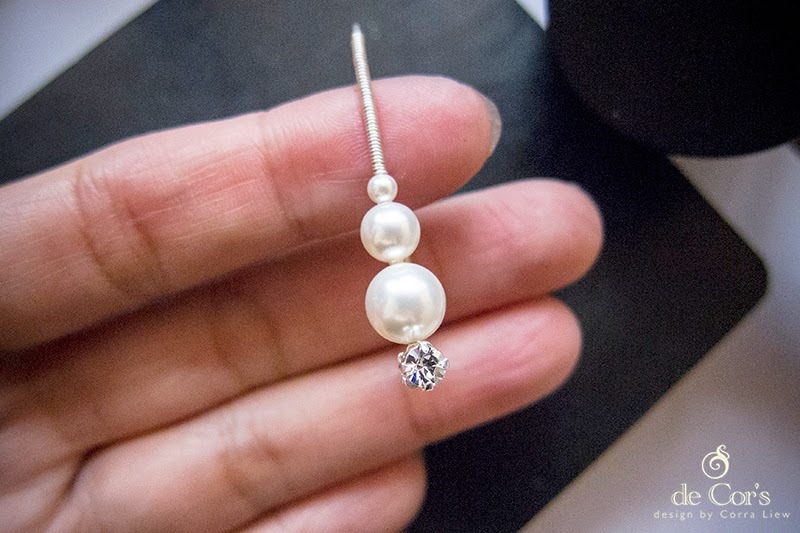 I finally got around to blog about my handmade bridesmaid earrings! It is not overly sophisticated, though the design does require some tedious work. 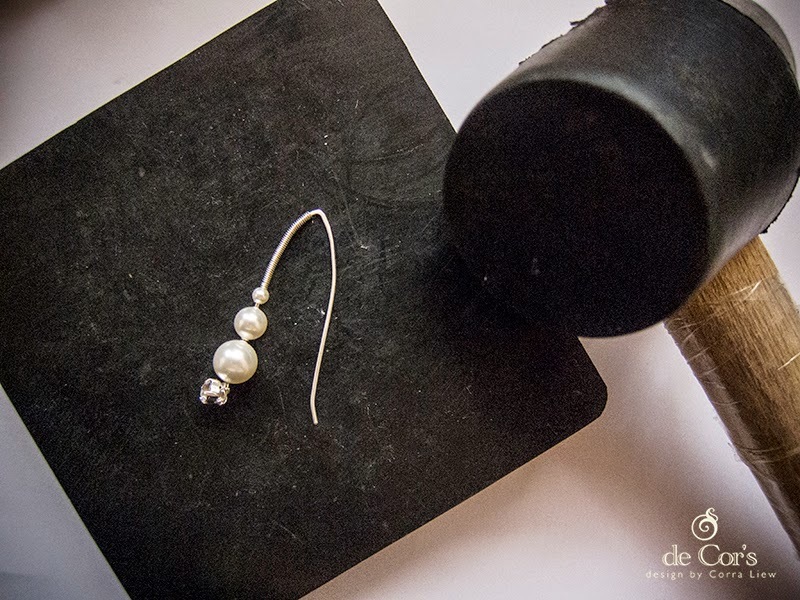 I didn't have a drilling tool when I started this project, so I used my tiny filing tool to slowly "drill" a hole on the hammered sterling silver, then I decided that I really should be getting a drill set, but I am not ready for drill press, so I thought I'd settle for something manual. 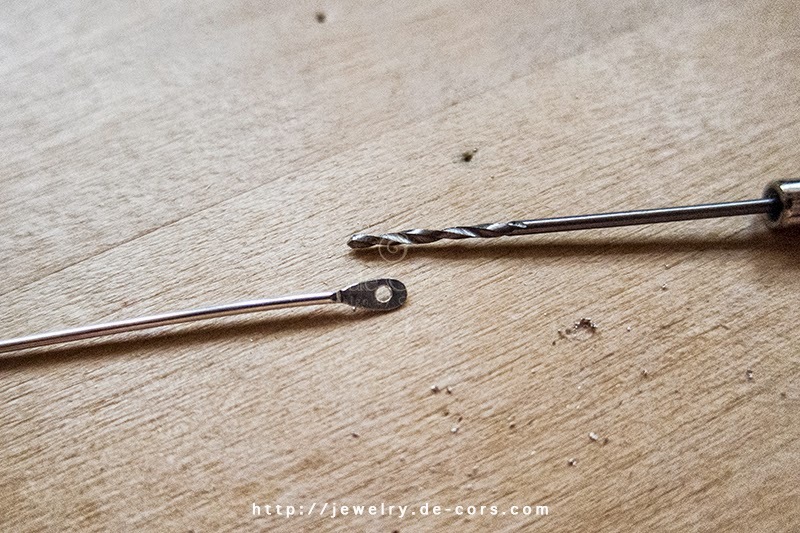 While I was waiting for my Hand Twist Drill Set to arrive, I found a 1mm hand twist drill from one of the Daiso outlet near where I stay, what a twist... I swear I've looked up and down for it, from Ace Hardware, local craft stores and neighborhood hardware stores, no one carries it, no one! 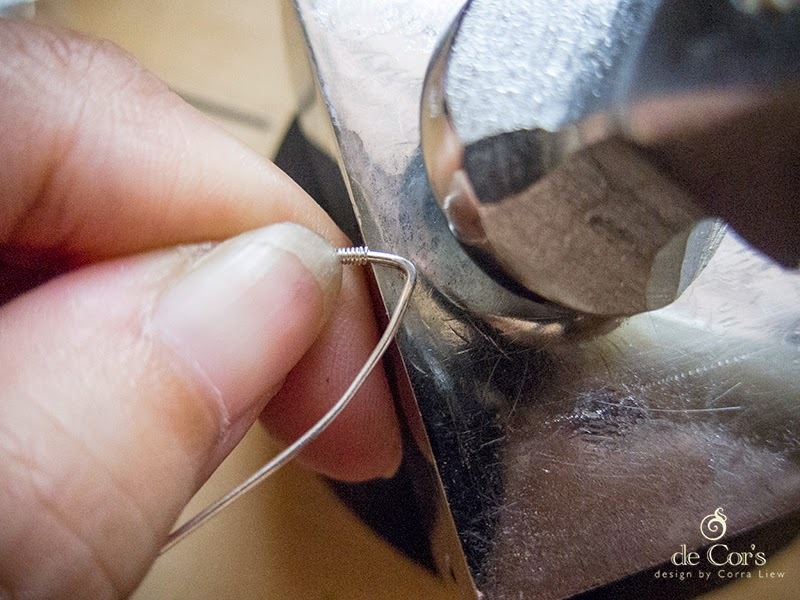 Ace hardware has a mini craft drill and 0.6mm is all it could drill, the store assistant tried to force the 1mm bit into it until I stopped her, she is obviously not as intelligent as I thought she is (-_-). So try Daiso if you are desperate, this tool saves a lot of my time! I also got this 4 x 4" Rubber Bench Block to go with the Rubber Mallet to gently set the shape of my jewelry, a must have bench block if you haven't already have one.